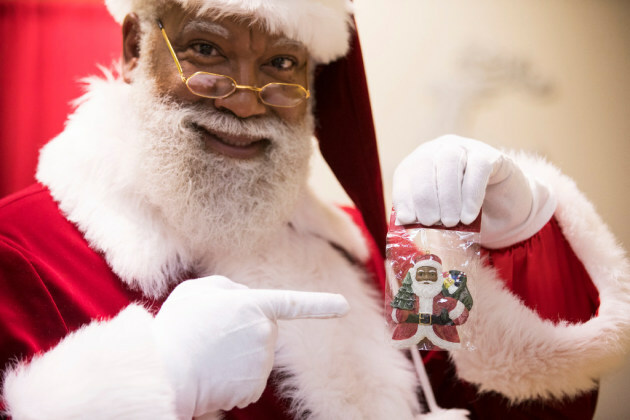 Is Mall of America's Black Santa now all of America's Santa? Larry Jefferson's gig as a Mall of America Santa only lasted four days, but the buzz continues to echo across the country. Stories on WCCO-TV and in the Star Tribune earlier this month about the first African-American man to portray Kris Kringle in MOA's 24-year-old history got plenty of play beyond the state. NBC's "Today," "The Daily Show With Trevor Noah," Huffington Post and Cosmopolitan magazine have all followed up. This past Saturday, "Saturday Night Live" mentioned the story, although it focused on the less-than-jolly naysayers who believe Kris Kringle should be white. MOA bit starts at 8:46.